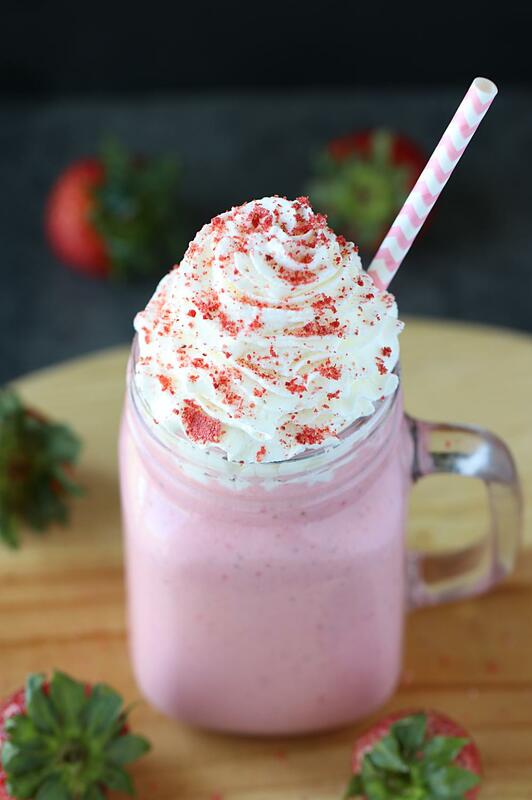 This 5-ingredient sweet and creamy Strawberry Coconut shake makes a delicious and satisfying breakfast. It’s naturally sweet, fresh and will completely satisfy your sweet tooth! Now who wouldn’t want to grab that drink???? Today, I am sharing a delicious new combination of flavors. 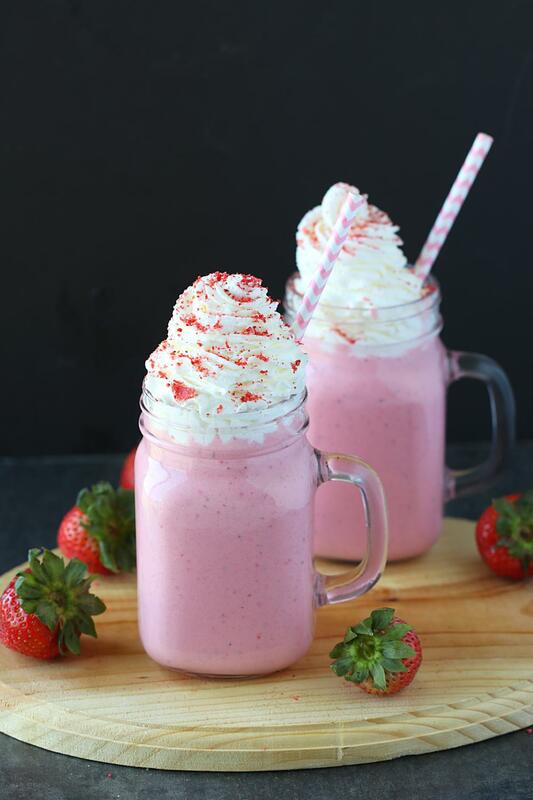 I will be pairing fresh strawberries with unsweetened coconut flakes and coconut milk to create a healthy and refreshing shake that will energize you for the day. This satisfying and filing shake is made with coconut milk and coconut cream. But feel free to substitute it with regular milk and cream. My strawberries were super-sweet, so I chose not to add any sweetener to this shake. Add sugar or maple syrup if you prefer. For this recipe, you can use frozen strawberries but nothing beats the taste of fresh fruits. It’s amazing!! This shake blends into a smooth and creamy drink. It’s a thick shake so feel free to adjust the consistency to your liking. Now isn’t that easy. Simply toss all the ingredients in a blender, blend until creamy and smooth and sip away! You can’t go wrong anywhere with this shake! Besides the taste, strawberry coconut shake is a great source of fiber, vitamins, minerals, calcium, potassium and is packed with electrolytes. Something this tasty and healthy should be on your to-make list. If you happen to make this drink, then either drop me a line below or share your yum pictures with me on Facebook. Would love to see your creation! 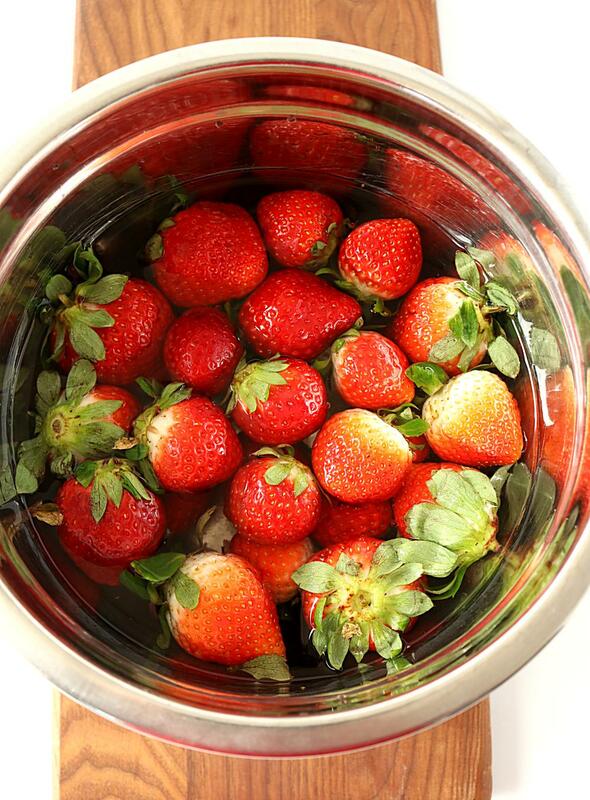 Add strawberries, sugar and coconut to a mixer/food processor. Pour in coconut milk and coconut cream. Blend it to a smooth paste. Top with some whipped cream.